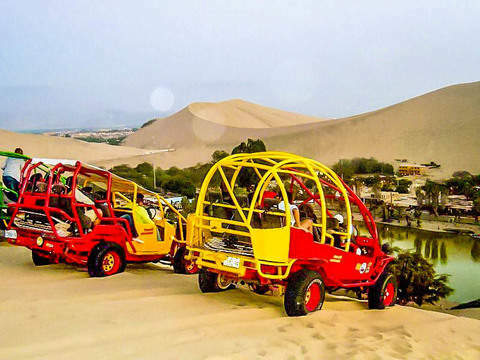 Try the best pisco and wines of Ica and Peru and live an adventure enjoy the Sandboard and the Sandbuggies. 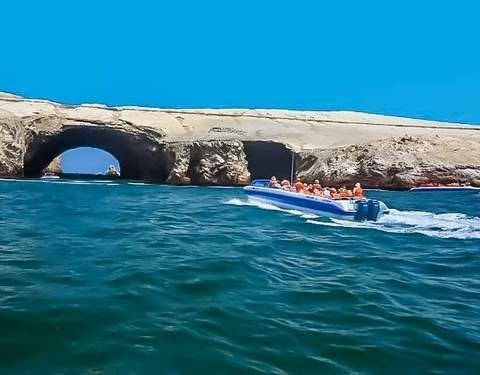 Enjoy the lagoon of Huacachina known as "The Oasis of America", we will make an adventure tour, we will enjoy the famous sport of sandboarding and the sand carts, sandbuggies. Visit one of the best artisanal wineries in Ica called El Catador. We started with the City Tour Ica: Main square of Ica, the Casona del Marquéz Torre Hermoso (also known as "La Casa de Bolívar") and the Cathedral of the city. We will then go to the Sanctuary of Lúren, post-earthquake dating from the eighteenth century where we can observe the five large portals, which facilitated the escape of people at the time of the earthquake, and we will go to the Provisional Chapel to greet the Patron Saint of Ica . We follow our circuit and visit the small town of Cachiche, where many years after the witches lived. 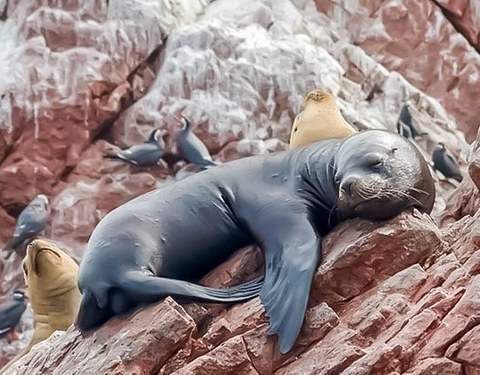 Cachiche is in Quechua voice Alpa - Cachani, translated into Spanish means "Tierra Salada", because in that place the vast majority of people practice witchcraft and it is said that the earth is weighed by those places. Here we will also visit "The palm tree with 7 heads". We will visit the monument of the main witch of Cachiche, known as "The Doctor Heart". 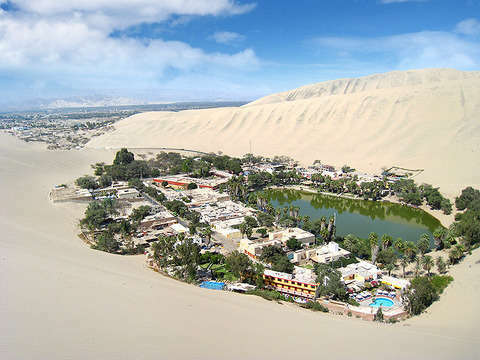 We then go to the Laguna Huacachina, known as "The Oasis of America", located 15 minutes from the center of Ica, in the middle of the desert, with dunes with sizes no less than 500 meters where we can appreciate the flora and fauna of the place. 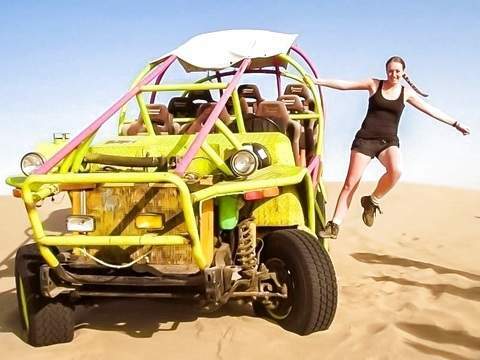 We will do the adventure tour: Sandboard & Buggies in the desert. Similar to a roller coaster, you will go down and climb the dunes. Finished this adventure, we will go to visit the artisan winery "El Catador". We will know the facilities and the process of the elaboration of piscos, wines and different liquors based on the grape. Includes the tasting of these traditional liqueurs. Tasting in the best craft wineries of the city of Ica. Ride in the sand cars (Buggies) and Sliding Tables (Sandboarding). Entrance tickets to the Dunes (S / .3.80 per person).